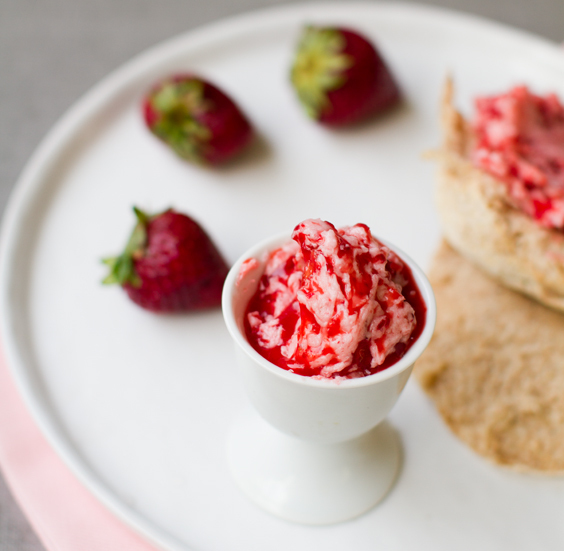 Warning, your toast, muffins and tea cakes will never be the same after tasting a slather these coconut oil-infused butters.. 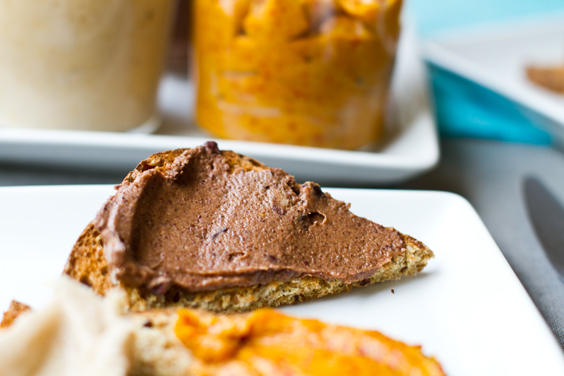 Continuing on my virgin coconut butter kick, I whipped up these Coconut Butter Spread recipes in my Vitamix. I literally made all three of them in about ten minutes and they were ready-to-serve in about another ten minutes. 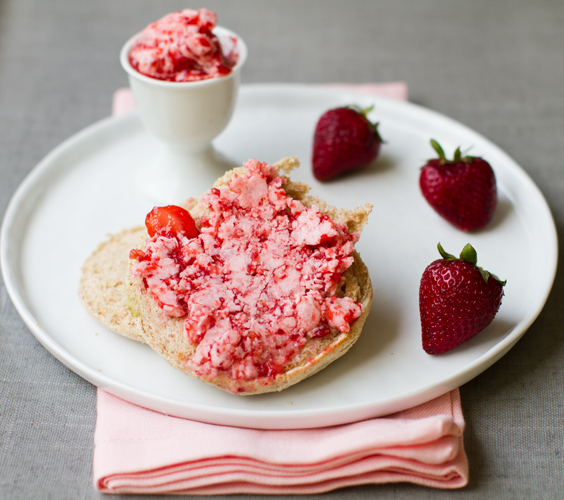 Easy, pretty and super yummy. I can just see this trio of flavors set out at a spring brunch - slathered on toast or muffins in place of traditional "buttery" or "jammy" substances. 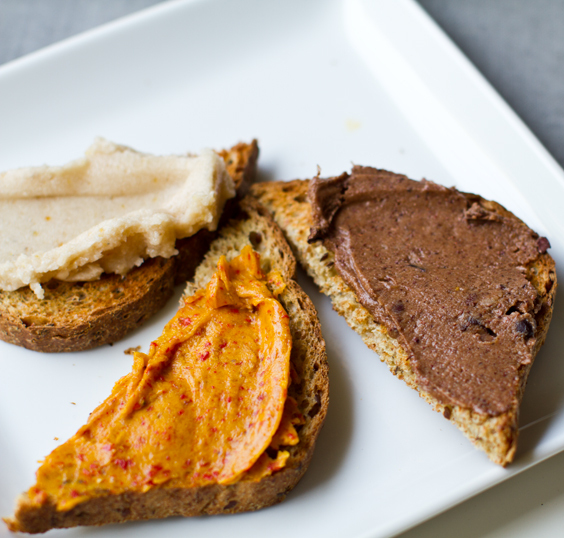 Health-nuts, vegans and even those who shun "all things healthy" will love these flavorful spreads..
Trio. 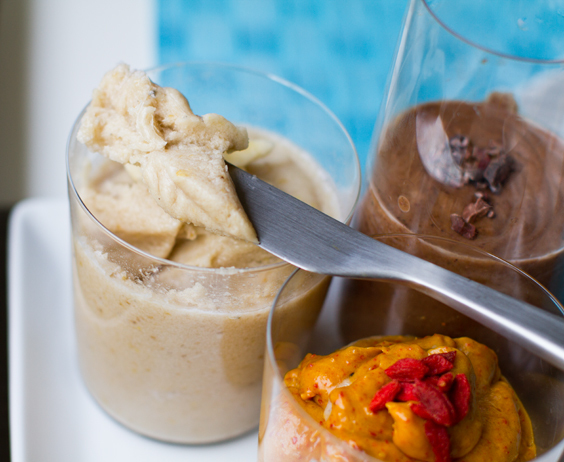 I started with three flavors, cinnamon coconut banana, espresso cacao chip and creamy spicy goji berry. 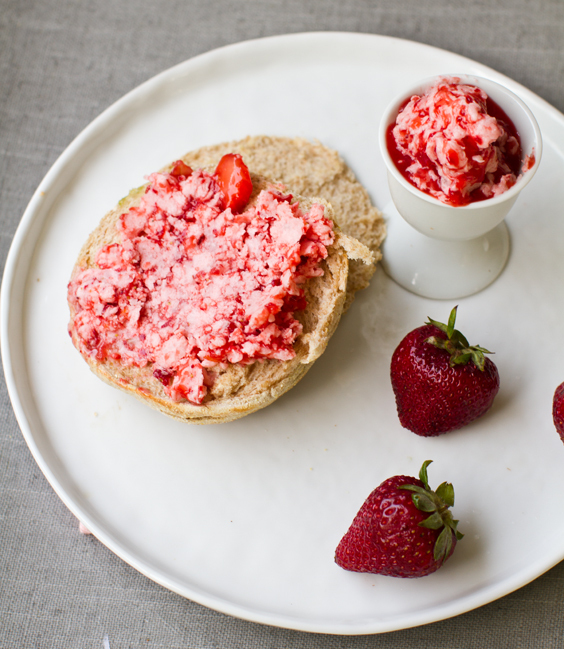 Then at the last minute this morning I whipped up some strawberry coconut butter with some farmer's market organic berries. The flavors are all very different and that makes for a fun tasting experience. 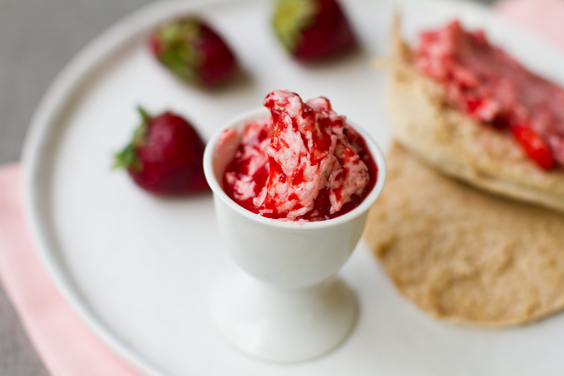 Get my recipes and get inspired to craft your own coconut butter spread flavors!.. 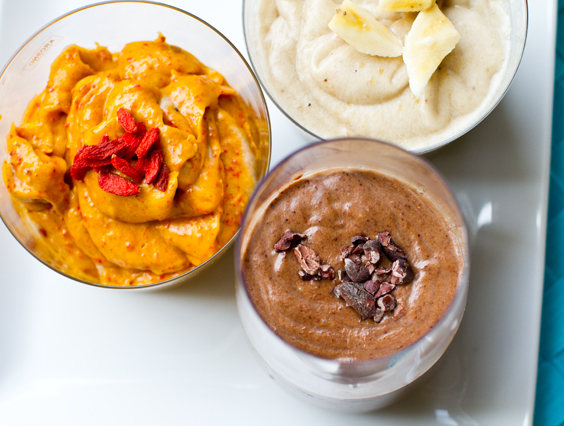 To Make: Add all ingredients to a blender or food processor and blend until creamy. Spoon mixture out into freezer-friendly container. 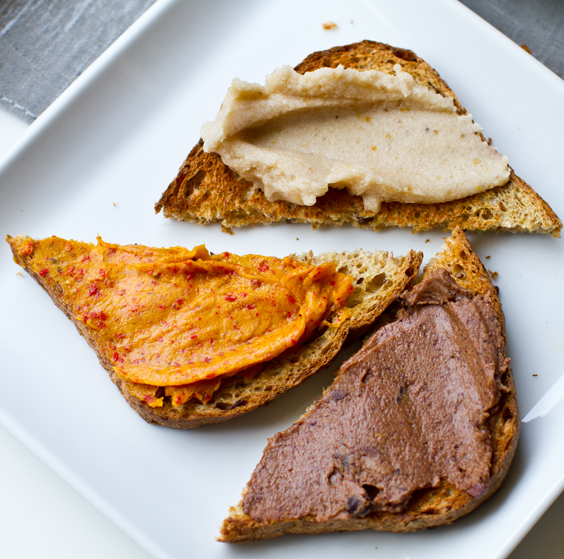 Place in the freezer for at least ten minutes - longer for firmer spread - serve. 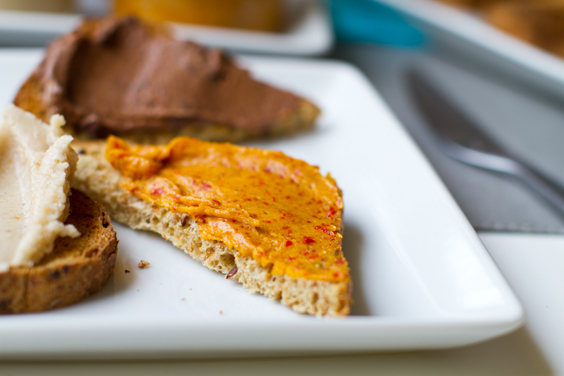 The spread should be served firm yet spreadable. Place back in fridge to store. Use within a few days. note: you can use refined or unrefined coconut oil. I like unrefined because it has a stronger coconut essence. * Do not blend coconut oil with slightly cold or chilled liquids or you will be left with bead-y, clumpy butter. Room temperature to warm liquids work best. * If you get stuck blending smoothly, add a few splashes of warm water. * Always use coconut oil that has been warmed to room temperature - or slightly softer - for easiest blending. * For a "lower in fat" spread - add in a few tablespoons of non-dairy milk (warm in microwave before adding.) The butter will still firm up nicely, but be a tad less "oily." 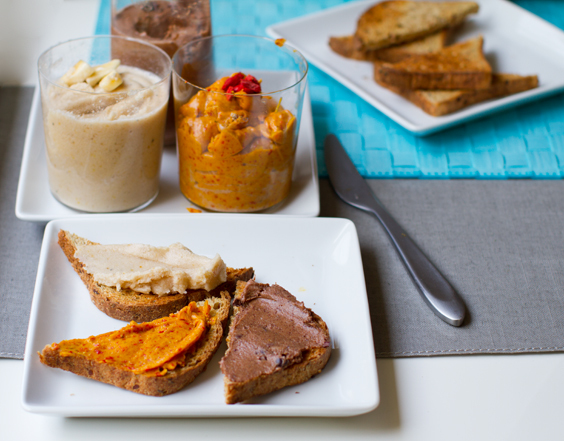 You can also add in other "fillers" like silken tofu, soy cream cheese, nuts, nut butters, avocado, creamy fruits and more. So many options!! 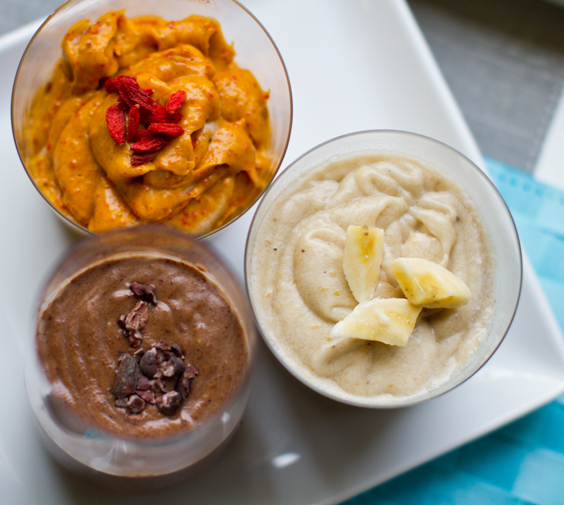 * In place of banana - you could also use creamy avocado for all the recipes below. 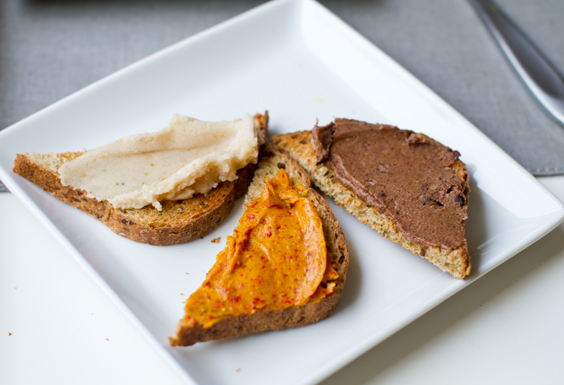 * If making ahead of time - allow at least 10-20 minutes for coconut butter to soften to room temp before spreading .. this avoids "waxy" spread. Try warming in microwave if needed. 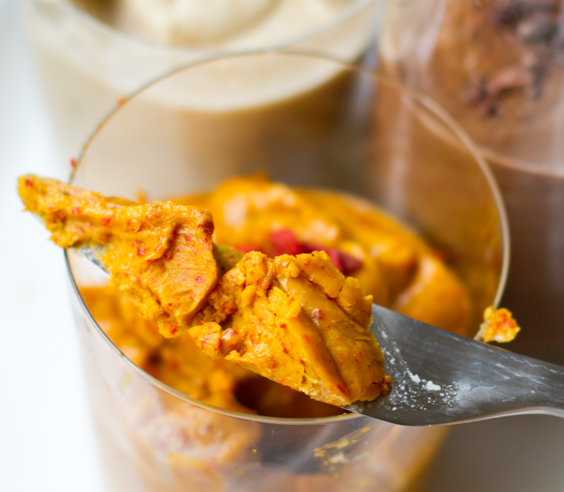 * I used my beloved Vitamix for an easy, ultra-creamy blend. note: you can easily make this with either cacao nibs OR cacao powder - you don't need both - although the double cacao flavor and texture is nice. notes: I tried this with avocado instead of banana and it was just as tasty - meybe even more so! Try them both and see which you prefer. Also, you do not have to add the espresso. 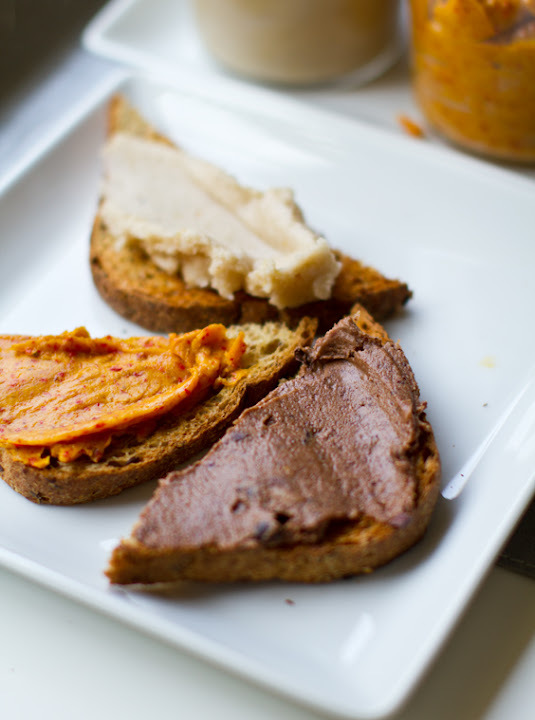 If you want just basic "cacao" spread - go for it. Maybe sub the espresso with warmed non-dairy milk. 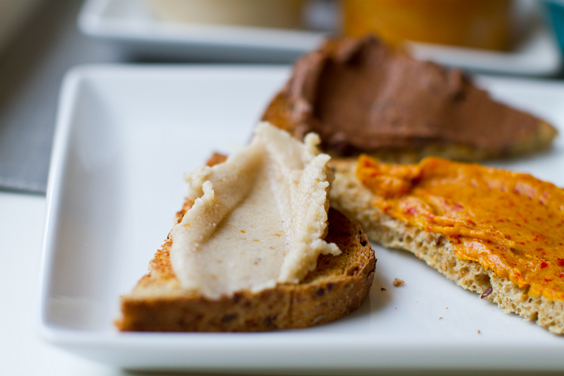 yum: add in a few spoonfuls of peanut butter for PB&J spread! History. I first heard about "virgin coconut oil" as a "health superfood" about seven years ago at work. My co-worker came into the office with a big smile on her face, eager to tell all about her latest health discovery. She said she was eating spoonfuls of coconut oil every morning in order to help her lose weight. In a flash, she popped out her opaque white jar of virgin coconut oil, unscrewed the lid and dug a silver spoon deeply into the thick creamy oil. Out came a heaping spoonful of a globular, white, shiny substance - and without flinching, she stuck it in her mouth. It was gone in a few seconds. She smirked in a "Oh yes I did!" sort of way. My mental reaction was probably easy to read - I probably looked at her like she was crazy - I'm a really bad facial liar. I paused and calmly asked without staring directly at the now empty coconut spoon, "so, how does that work?" I faked a little excitement to hide my freaked-out-ed-ness. In my mind I was secretly calculating the calories in one heaping spoonful of pure fat/oil - and I knew it was saturated fat from my studies in nutrition. My mind was spinning, How in the world could this stuff make someone lose weight?? I still giggle of that story because I have a picture in my head of her licking spoonfuls of coconut oil with a scrunched up face. The image just begs for a joke - wannabe "weight loss" dieters licking heaping spoonfuls of fat. Oh, field of nutrition, you always amaze me. 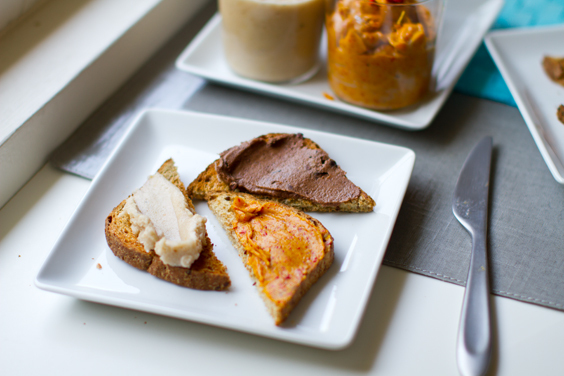 So the point to this story is.. if you are going to increase your consumption of virgin coconut oil - why not do it with a delicious spread (recipes above) rather than just straight up oil. So what do I think now? Culinary-wise, this stuff is amazing. Vegan desserts love it. So on the cooking end of things, I'm all in. And on the "health claims side, I still want to follow the latest research. Personally, I'm more interested in the immune system and brain health effects of coconut oil. The research in this area is still quite new - but still something to watch and listen for. The Coconut Oil Conversation Continues.. I continued the "coconut oil for health" conversation over on Babble's Family Kitchen.